The Nek is a thin strip of ground leading up the range with steep drops on either side. The ANZAC attack of 7th August was to follow a predawn barrage. The element of surprise was lost when the barrage ended seven minutes early. The Turks knew what was coming and at 4.30 am the 8th Light Horse leapt from their trenches to be cut down and were eliminated in half a minute by 'one continuous roaring tempest' of machine-gun fire. Two minutes later the next wave charged, and like the first was decimated, adding to the pile of bodies near the lip of the ANZAC trenches. At 4.45 am the 10th Light Horse also charged to their deaths. One of them was Wilfred Harper, who was seen sprinting toward the enemy like an Olympian. 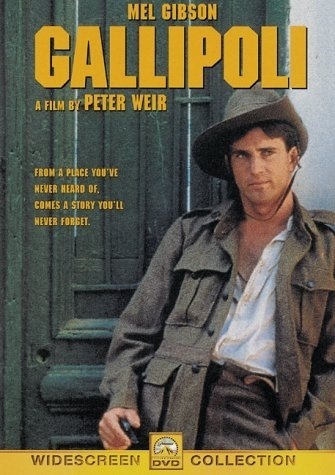 Harper's run was part of the inspiration for Peter Weir's film "Gallipoli". The film depicts a British Officer sending waves of Australians to their doom. In truth it was Australian officers who sent them to their deaths. The fourth wave, under the command of Major Scott, was lined up and ready to go forward. Without orders the troops on the right rose and rushed over the parapet. Many of the officers knew that Lieutenant Colonel Noel Brazier was trying to have the fourth charge called off; the men did not. No one seemed to know quite what happened. Major Scott managed to stop some men leaving the trench, but the fourth slaughter had begun. The scale of the tragedy at The Nek was the result of two inept Australian officers; Brigade commander Brigadier General Frederick Hughes and Lieutenant Colonel John Antill. Hughes was untried in this situation and assigned much responsibility to Antill. Antill could easily have been vindicated in calling the attack off after the slaughter of the first wave, but his direct order was to "push on". The charge at The Nek is considered to be the most senseless and tragic waste of Australian lives at Gallipoli. 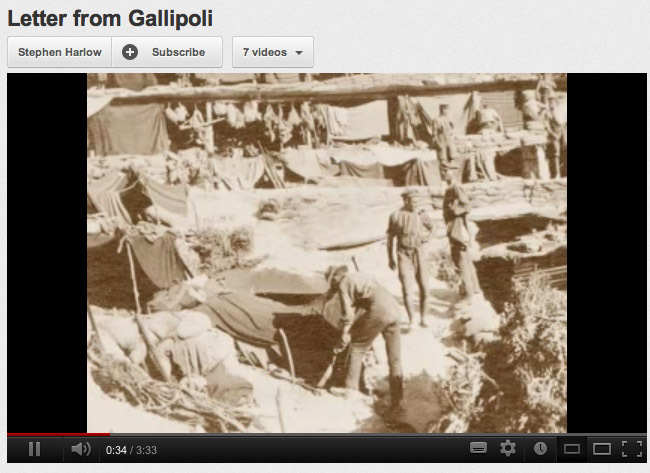 This is the battle that the film Gallipoli focuses on. 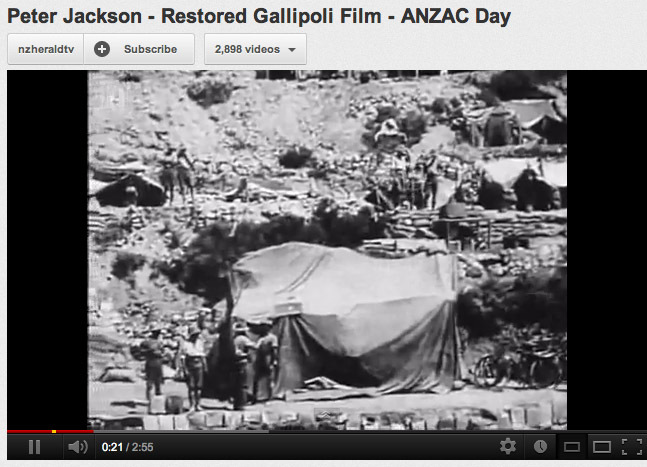 Video: Peter Jackson's ANZAC Day film. Explain why some people argue that the withdrawal of the Anzacs from Gallipoli was the most successful part of the campaign. Activity: Reflective Writing - Why The Impact? Look at the photograph on below and read the caption accompanying the photograph. 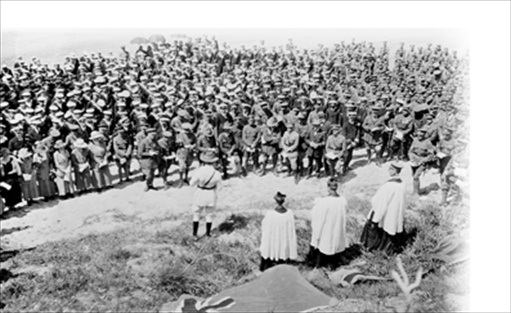 Caption: Anzac Day service, Gallipoli, 25 April 1923. The tradition of commemorating the Gallipoli landings of 25 April 1915 began the following year, in 1916, when the anniversary was marked by civilians and servicemen in Australia and overseas. After the war, Anzac Day services began to be held near the site of the original landings, and the numbers attending the commemorations at Gallipoli grew significantly in the years leading up to, and after, the turn of the 21st century.